I go with the kids so I can be the best one there. Faced with a rainy day in Portland and two kids needing some activity, I ventured to a place I have spent my life avoiding. I was always the sucky bowler who scored 15 or 20, and was too embarrassed to admit that I cared. Then one day last fall, I was forced into a bowling situation at a conference. 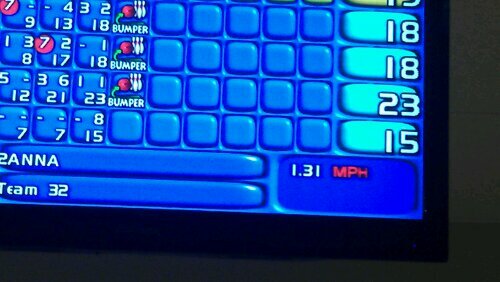 I couldn’t back out, but started making my usual excuses about how badly I bowl, so as to lower everyone’s expectations. But then I thought, “Wait a minute. Why can’t I bowl? I bet I can do it. How hard can it be?” I spent a few minutes thinking about the physics of the situation, and lo and behold – I can bowl just fine. Even respectably. Not too long after Bowling for Rhinos, I signed us up for “Kids Bowl Free” at Hollywood Bowl, which is walkable from our house. 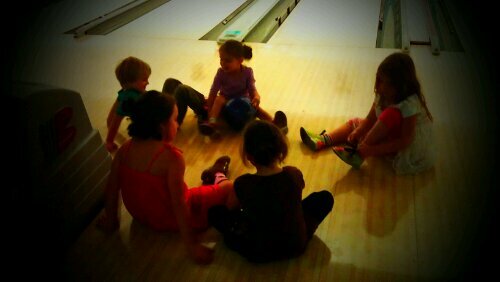 The kids thought rolling a ball between themselves on the floor was almost as much fun as rolling it down the alley! Hollywood Bowl is hardly glamorous. Kinda skeezy, truth be told. But we had a great time, and with our free bowling passes, we only had to pay for shoes. The total for the three of us was $7.50! I wish Hollywood Bowl would get the cool ramps for the kids – Sunset Lanes where we bowled before had these awesome ramps that you place in front of the lane. The kids start their ball at the top of the ramp, giving them enough speed to make it all the way down the alley. We had a lot of slooooooooow balls, since the velocity was determined solely by how hard the 3-6 year-olds pushed the ball! My friend Mary and her kids came and joined us, and we all had a blast. Especially the mamas, once the Bloody Marys kicked in! 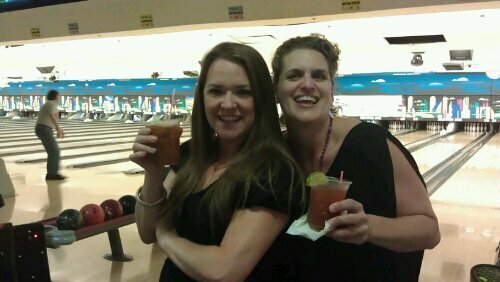 In case you were wondering, the primary redeeming quality of a bowling alley is the prevalence of Bloody Marys.